A few days back I had the chance to photograph this amazing family again. I've been working with Michaela for over four years now. She was my first wedding client and kindly let me photograph her wedding without any expectations. Looking back at it, this was a huge deal from her side. I am still grateful for the opportunity she gave me all these years ago, given that I had no portfolio and experience back then. Few years after her wedding she contacted me and wanted some belly pictures. She showed me this beautiful location near her family cottage and I just fell in love. With the place, with the concept and with her as a client. Last year we returned there in November to do updated photos with her baby girl. Needless to say that when she contacted me this May, saying she is expecting again, and that she wants new pictures taken at this beautiful spot, I was over the moon. We shot this in the evening during a very hot summer day in the Czech republic. 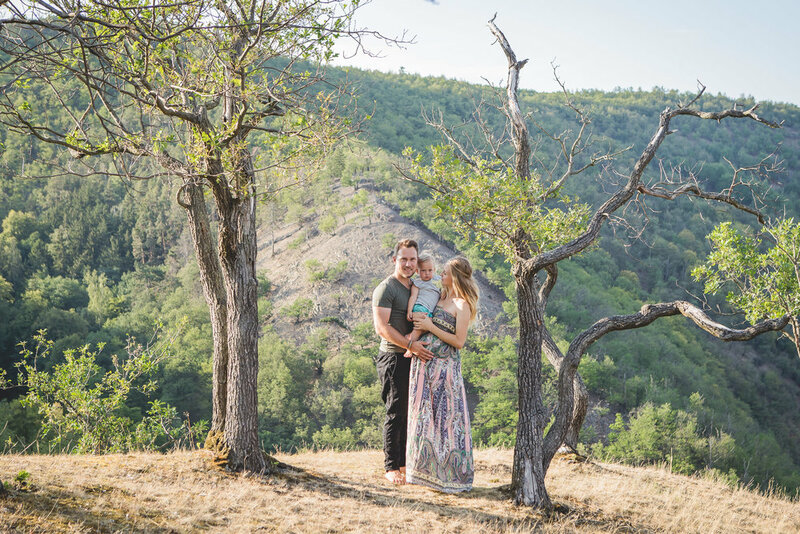 We had lots of fun with the little one and very much enjoyed this small trip to the czech countryside!